Your compassion empowers Nyaka’s future female engineers! Without your continued generosity, Nyaka would not be able to offer opportunities for women in STEM*. 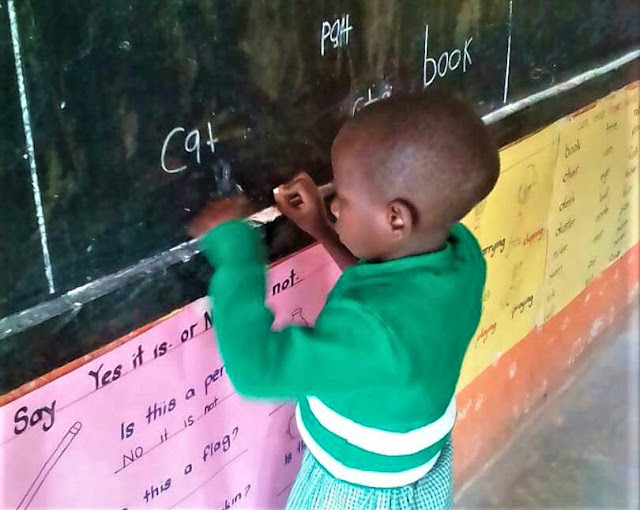 Before joining Nyaka, Nayebare Primah had never stepped foot into a classroom. She watched other children in her village attend school, but her family couldn’t afford the school fees. Without school, Nayebare would’ve likely end up like the majority of uneducated girls in rural Uganda: destined to be a homemaker and young mother. However, Nayebare life changed when she had the opportunity to attend Nyaka’s Vocational School for FREE. When you allowed her to attend Nyaka, you told her that her ideas were valuable. Nayebare took advantage of this chance to let her ideas flourish, as she joined the Robotics Club! From the Robotics Club, Nayebare has gained skills in teamwork from working with other future engineers! She has also gained confidence from having to present her tech innovations in front of judges panels at robotics competitions. Last year, your support allowed her to compete with Nyaka’s Robotics Club in Kampala, where they came in FIRST! 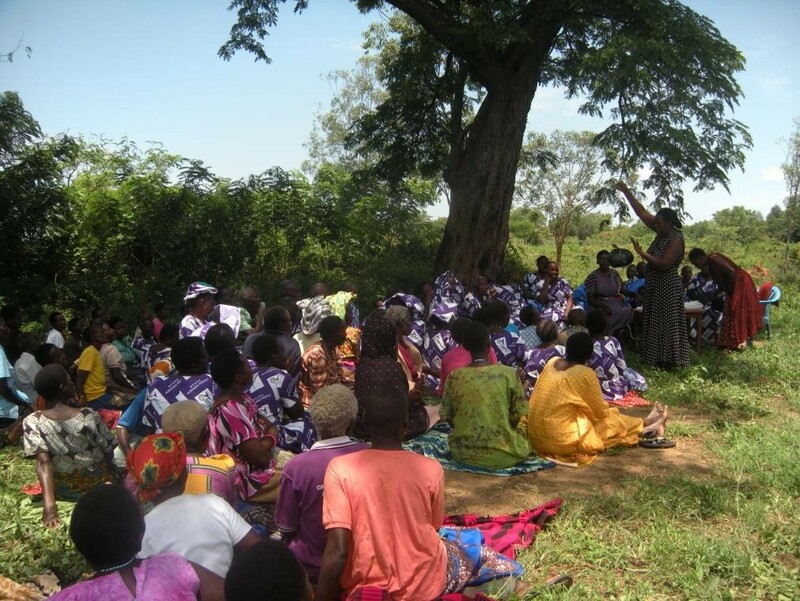 Your support not only changed Nayebare, but lets aide her entire community! 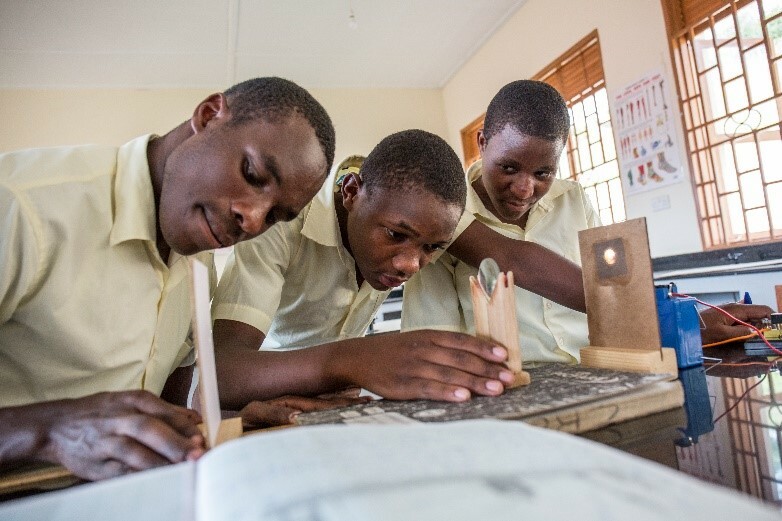 The inventions that the Nyaka Robotics Club creates target urgent needs in the community. In response to the Ebola outbreak, Nayebare worked on a team that engineered an automatic sink tap so people can safely wash their hands! Your gifts not only empower Nayebare, but can continue to impact the many girls yearning for an education in rural southwestern Uganda! You Empower Female Students to Fight Injustices! Sarah is a college student fighting for others’ rights, but this justice would not be possible without your support for her! When she was just a child, Sarah lost her parents to AIDS by age eight. Yet, she did not lose hope-she still dreamed of becoming a lawyer. As Sarah grew up, it became difficult for her grandmother to pay her school fees. Even when could attend school, she was often more focused on where she would get necessities like soap, sanitary pads, and toothpaste. Consider that in rural Uganda, girls who can’t access sanitary pads often drop out of school, Sarah’s aspirations of becoming a lawyer seemed dismal. However, thanks to your compassion, Sarah didn’t give up on her dreams! 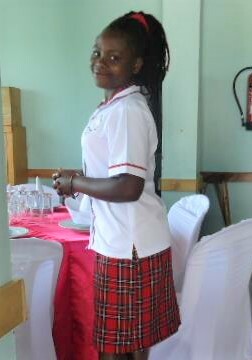 After she won a Nyaka scholarship through partnership with Beautiful World Canada, Sarah could prioritize her studies. She no longer worried about where she was going to get basics, such as soap, sanitary pads, and clothing. 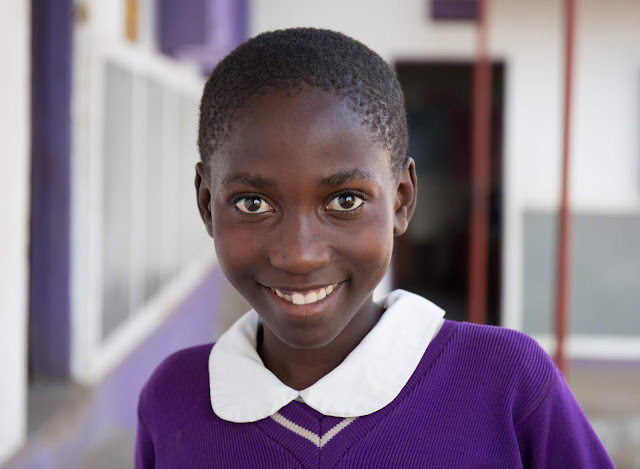 Your involvement in the Nyaka family empowered her to graduate from secondary school and attend university. Sarah was confident in her abilities to excel at university, as she understands that Nyaka offered the “highest standard” of education. Without your support, Nyaka’s education would not be up to its caliber. To become a lawyer, a “voice for the voiceless,” Sarah studied human rights litigation. While working on her dissertation on the right to a speedy trial, Sarah has filed petitions to ensure that Ugandans aren’t being held past the legal limit. The strength you helped instilled upon her has had a larger impact--Sarah was able to get a Ugandan official his court date. Sarah is proof of what women can achieve when you invest in their educations! Click here to empower more female students like Sarah! You Opened Doors for Tauba! Tauba’s father died when she was just seven months old. The youngest of 10 children, she watched as her mother had to choose which of her children she could send to school. Tauba knew that she would never get the chance. As the youngest child and a girl, she would most likely work in the fields with her mother and then get married as soon as she reached her early teens. 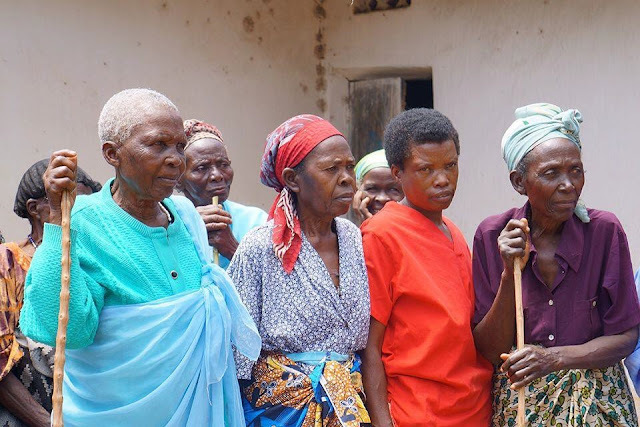 One day, a community leader came to speak with her mother about your Nyaka Primary School. The very next year, Tauba was running with her friends in her own beautiful, purple uniform. Now, Tauba is one of your Primary Seven students, and she can hardly believe how much her life has changed. She remembers times at home when her family had nothing to eat. At school she knows they will provide her with two warm meals. She carries her own textbooks home and studies hard. She is so grateful for the education that you are providing for her. Tauba dreams of becoming a surgeon. She wants to earn enough money to help her older brothers and sisters who didn’t get to go to school. She also dreams of sponsoring five Nyaka children when she grows up so that they can have the same chance she has. 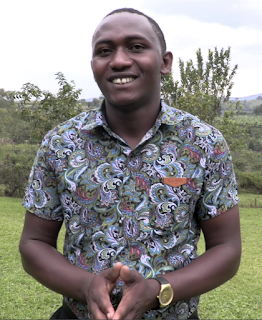 Tauba is proud to be one of your Nyaka students. It is only through your generosity and compassion that she will have a bright future. Thanks to YOU, Sarah started her first job! The rains are here which is great for the gardens and farms in the area. Although the roads are beginning to get washed out from the heavy rains and making travel a little more challenging, everyone is doing great! It’s been a busy 2018 school year and your students are working hard every day to make you proud. Thank you for your love and support to make their educations possible! Sarah is one of the many students you have helped. She completed her degree in Tourism and Hotel Management, and just started her first job at the Platinum Hotel in Rukungiri. Before joining Nyaka Primary School as a young girl, everything in her life was very complicated after her parents died. Her future was uncertain. Because of your kindness, she is rejoicing about how her life has turned out and feels privileged to have graduated school and begun a career. Thank you for the kindness you have shown Sarah and other children like her. Your donations change children’s lives! NVSS is off to a great year! The 2018 school year is off to a great start and your students are glad to be back! It’s the first year that NVSS is at full capacity, educating grades S.1-S.4. 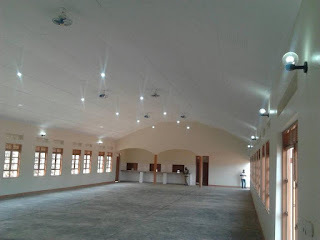 The school was opened in phases starting with S.1 in 2015 and added another class every year after. Before NVSS opened, these students would have to attend secondary and vocational schools far from home. Today, they are able to attend NVSS and remain surrounded by the positive influence of the Nyaka team. 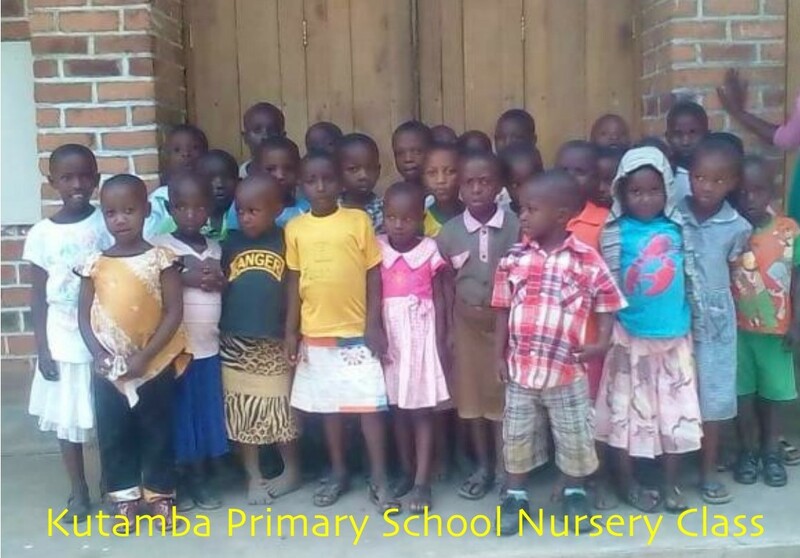 There are 54 students from the Nyaka and Kutamba primary schools who moved on to NVSS this year, bringing the entire student body at NVSS to 209 students! 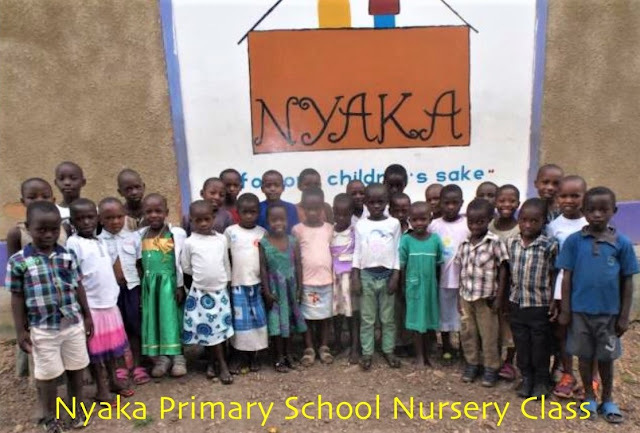 The school allows Nyaka to continue providing their education in a supportive environment. Students who have been orphaned by HIV/AIDS face barriers that other children don't. They are more vulnerable to human trafficking and sexual assault. Many are dealing with grief and loss, which can lead to unhealthy behaviors. With over a decade of experience, Nyaka is better equipped to help these children overcome those barriers than other schools. 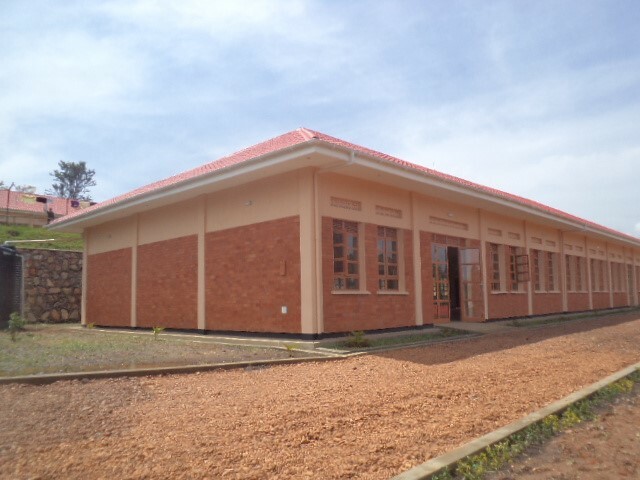 Nyaka also provides vital supportive services including counseling, sexual assault interventions, and reproductive health education. Nyaka believes that all children deserve a high-quality education. Thanks to YOUR support, they are provided with the same amazing education. 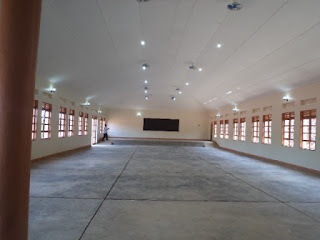 Your students are also excited to begin using the Dining and Multipurpose Hall building that was just completed. This building will be the heart of the campus as a place for students and staff to eat and gather. It will also serve as the testing center for students who take their final exams while in grade S.4. The campus is getting closer to completion but is still in need of the Chemistry and Physics Labs plus other final touches like fencing off the school. 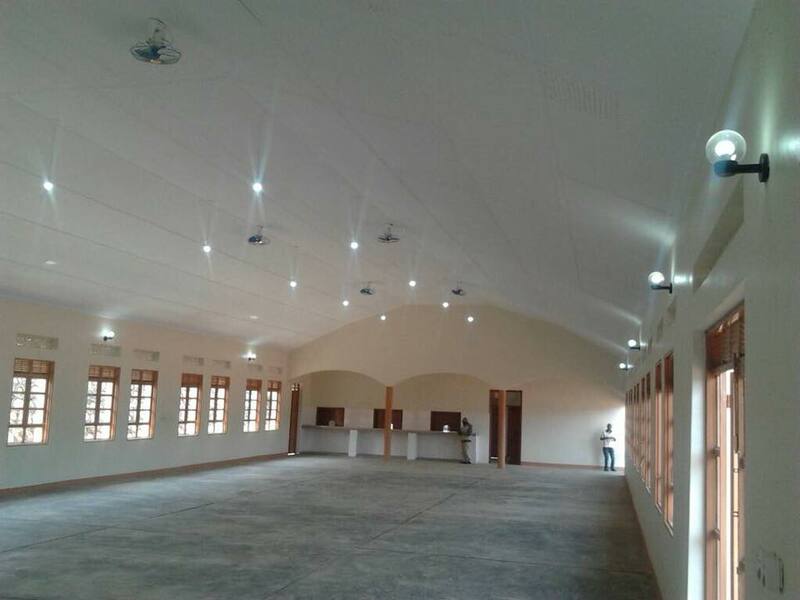 Thank you for building your students in Uganda an amazing school that will change their lives! Jovia has experienced unimaginable loss in her life. She and her husband had seven children, all of whom died when they were very young. Her husband soon followed the children. Jovia found herself childless, widowed, and with virtually nothing. Even though she had few material possessions, Jovia realized that she still had a lot of love left in her heart. She decided to share this love by opening her home to orphaned children. Over the years, Jovia has raised six children, none of whom were related to her. While life hasn’t always been easy for her and her grandchildren, your support has given Jovia the resources she needs to survive and raise her newfound family. Although Jovia doesn’t have a formal education, she is a very smart and savvy woman. She learned as much as possible about business from her late husband, but she lacked the resources needed to provide her own income when he passed away. Fortunately, she joined a Nyaka Granny Group, and through Nyaka’s microfinance program she was able to borrow money to open her own retail shop. The shop started small, but Jovia has been able to grow and expand it over the years. 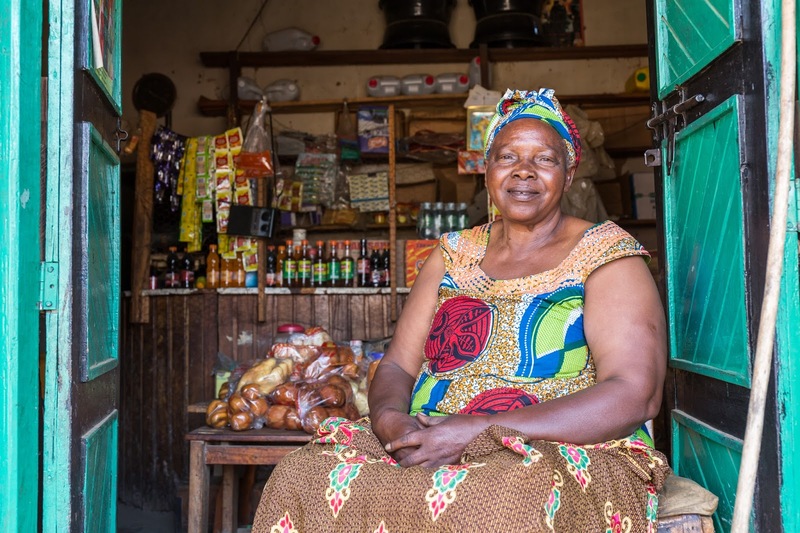 Today, Jovia is 75 years old and the proud owner of a successful shop in her village. Because of your support, she sells items such as salt, soaps, beans, maize flour, millet, cooking oil, matches, sugar, sandals, onions, soft drinks and sugar cane, generating enough income to allow her to provide a good life for her family. 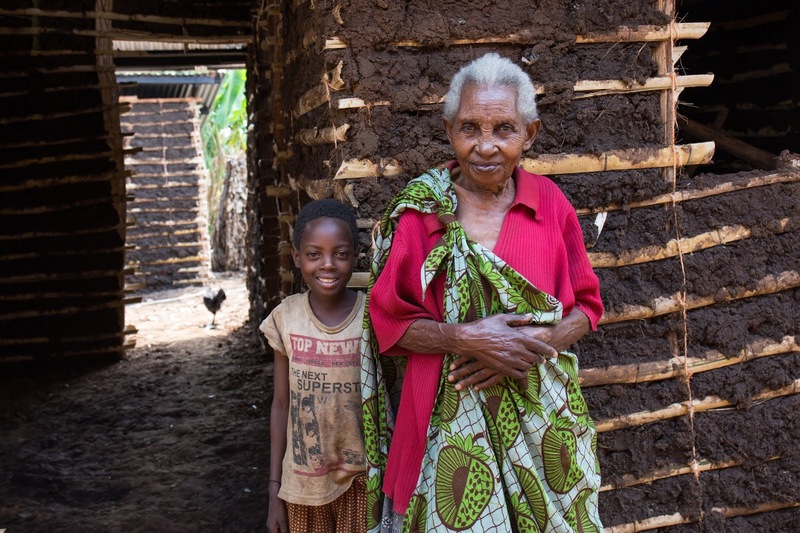 Jovia is just one of the many grandmothers who you have supported through Nyaka. These women are strong, capable, and improving their lives, thanks to you. These women are the pillars of their communities and Jovia is but one of the many special women whose life YOU have turned around. Thank you! Greetings from your children and grandmothers in Uganda! Thank YOU for making 2017 an amazing year. Your love and support changed many lives! YOU sent 754 children to school! The Primary 7 students graduated and will be joining secondary school at NVSS next week - they can’t wait. YOU built 17 homes, 25 kitchens, and 25 latrines for grandmothers, while also providing over 7,000 grandmothers with trainings, counseling, and microfinance loans! YOU gave more community members access to medical care than ever before and continued to provide clean water in the community and access to libraries! Now, YOU will be sending 60 new nursery children to school on February 5th!